2. The Alcan property must remain vacant/undeveloped. 3. A Minority must be placed on the school board at all cost. 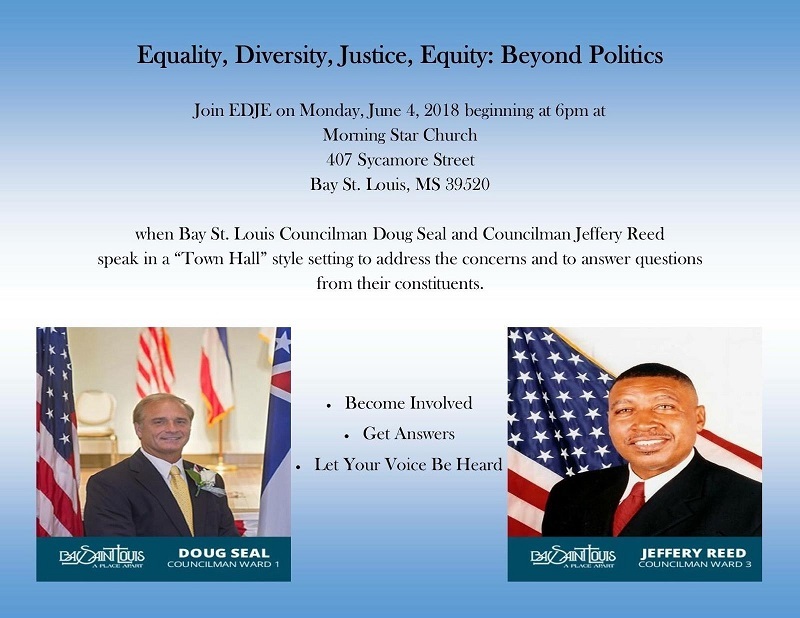 If you live in Wards 1 or 3 this is your chance to meet your City Councilman. 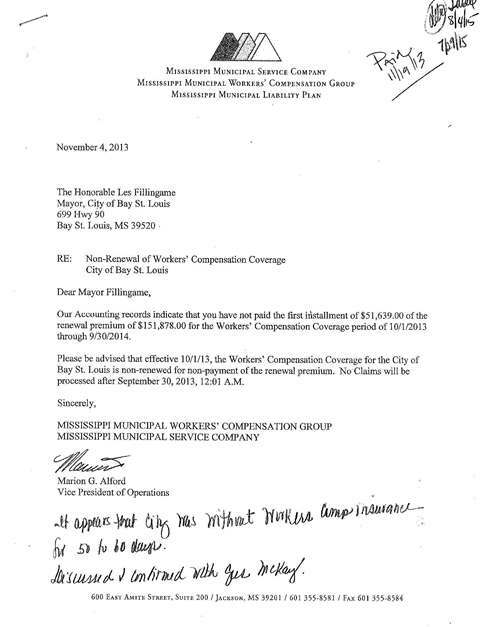 Does anyone reckon that Seal, Compretta, McDonald or Hizzoner came clean with Hosemann about the council granting Triple Tails permission to cantilever their building over the green space in direct violation of the lease between the City and the Secretary of State? Did the City ever contact SOS and advise SOS in early 2015 that they were allowing Triple Tails to construct their building over the state owned green space? If so what was the nature of the contact and how was the questions-City requests handled by SOS? This will be a multi part post. At last Tuesday’s City Council meeting, the issue of the City leasing air space over the state owned green space came to a head and such was the major reason that Slabbed was interested in that meeting. To set things up, at the council meeting of November 8, 2016, Mayor Fillingame told the Council there was no written lease for the use of air space over the state owned Green Space at the Harbor used by Triple Tails and when that was relayed to Slabbed, we immediately spotted major potential problems. At this point we need to give a major hat tip to Lana Noonan and the Hancock County Alliance for Good Government who did some major legwork for Slabbed New Media in advance of last Tuesday’s meeting. First up is the construction of the Bay Harbor courtesy of the U.S. taxpayers, the taking of private land for the Harbor and construction of the new Seawall under the auspices of the US Army Corp of Engineers. After the construction of the Seawall was completed property lines were redrawn and a strip of Green Space between the private property and the seawall was created. It is the City’s inability to manage this small strip of land that is the topic of this post as we explore how one private business, Triple Tails, was able to build and cantilever part of their building over the property line into the air space above the state owned green space. Mayor Fillingame and his administration’s inability to manage this green space in accordance with the lease has now caused major problems that are not easily fixed. The reason the proposal to set up an Unemployment Compensation Revolving Fund within the Municipal Reserve Bank Account attracted my attention is the obvious co-mingling of dedicated funds, a major no no the council should have learned by now. Time to Call It: The Dysfunctional City of Bay St Louis, a Municipality Apart…. I could write a treatise in real life failed local government from closely observing the workings of the Bay St Louis City government over the past three years but I’m not. I am ready to call it like I see it and can do so in a fairly short post. The overarching principle here is municipal government is dysfunctional because that is exactly the way the Mayor and City Council want it. And yes last night again saw a City Council divided on what I see as a fundamental issue: Council access to the legal services the cost of which is born by the City’s taxpayers. The vote was for more of the status quo. To blame the financial catastrophe that has befallen the City solely on Mayor Fillingame would be misplaced. Over the past three years I’ve attended meetings where the assembled crowd knew more about operating within the four corners of the state statutes than those charged with governing. A cynical man would automatically think such public displays of ignorance from elected officials could only mean a hidden, self interest based agenda had to be present. The bottom line is don’t hold your breath waiting over the next year for things to improve as the administration is certain to ignore the directives of the City Council that it doesn’t like and the Council lacks the collective political will to force the administration to play nice, for lack of a better term. Even worse, with its current Ad Valorem levy about 33% low compared to its sister Cities here on the coast the problems can only continue. On the other hand given the fiscal mismanagement that’s occurred over the past seven years there is no way I could ever justify recommending giving the current Mayor and this City Council any more tax money to squander. Its a classic catch 22. Author Douglas HandshoePosted on June 24, 2016 June 24, 2016 Categories SopTags Bay St Louis City Councilman Bobby Compretta, Bay St Louis City Councilman Doug Seal, Bay St Louis City Councilman Jeffrey Reed, Bay St Louis City Councilman Joey Boudin, Bay St Louis City Councilman Lonnie Falgout, Bay St Louis City Councilman Mike Favre, Bay St Louis City Councilwoman Wendy McDonald, Bay St Louis Mayor Les Fillingame, City of Bay St Louis27 Comments on Time to Call It: The Dysfunctional City of Bay St Louis, a Municipality Apart…. Folks I’ve been very busy all week in the day job but have monitored the slow motion financial meltdown of the City of Bay St Louis, a problem that has been literally years in the making. 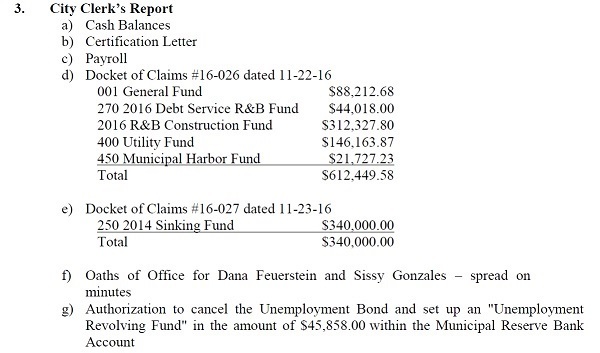 Last year during the election then Mayoral candidate Jeff Harding had the city’s financial problems well identified. 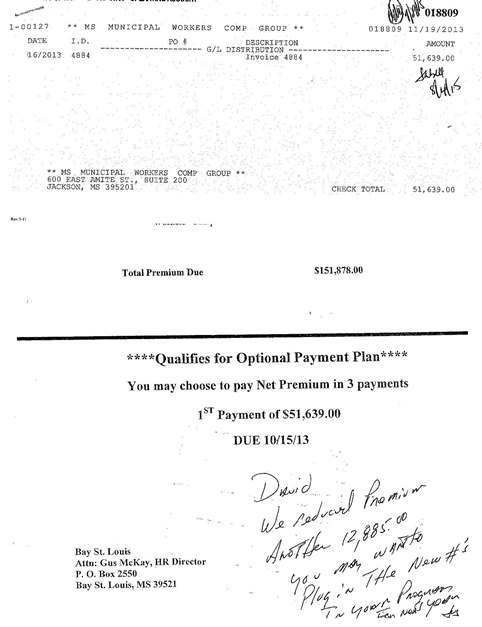 His claims were dismissed, buried in the re-election campaign of lies told by the Mayor Les Fillingame which contended the City was financially sound, a meme Hizzoner would keep repeating until late Spring of this year when he revealed the City would default on its Water and Sewer Bonds unless they were refinanced immediately, a move that left the City almost $200,000 further in debt. By that time, per the 2013 single audit report, the City’s Water and Sewer fund accumulated deficit was well over $400,000. The City has been broke for over a year.